There are only 186 available of the 15 Foot Plug-in Cord Kit. Your selected quantity has been adjusted. 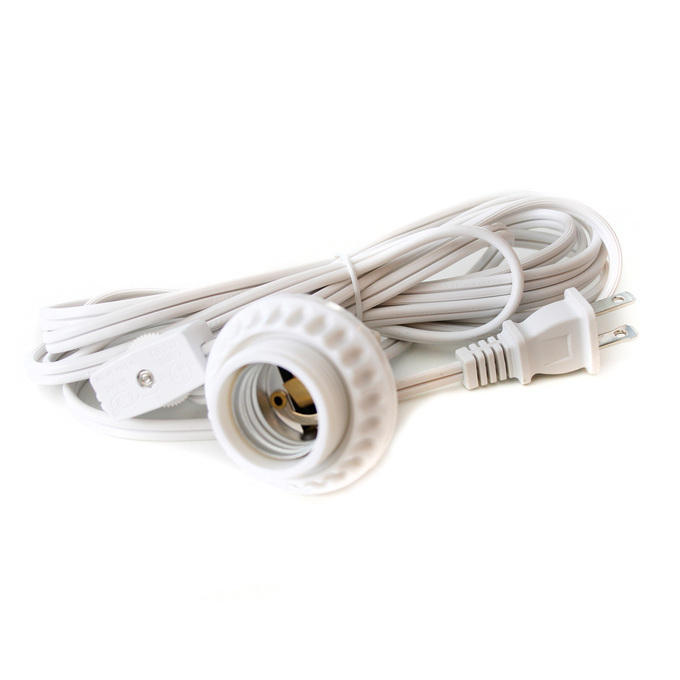 This heavy duty white plug-in cord kits can be used with our paper star lights, as well as most light shades that require a hanging power cord. I like the plug in light cords. They are great for my project that I am doing. I would order from them again. Unfortunately, the 15 Foot Plug-in Cord Kit only comes in white. Could you please tell me which end (the light bulb end or the plug in end) of the cord that the switch is closest to? And could you please tell me how many inches from that end that the switch is located? Thanks! It's closer to the plug and they're distanced around 39.5 inches apart. Hi...I just received my order of the LC003384 Modern String Lamp Pendant & u sold me this plug in pendant cord to be used instead of the hard wiring that came with the lamp. I am unable to see how to swap out the light sockets. can you please email me directions? Those lights were never intended to be used that way so sadly we have no directions for that application. I want to hang the light from underneath a shelf for my violets. Is there a complete kit? New to this. The kit does not include lights, you would buy the lights separately. Is this cord compatable with the Vita Eios small feather lamp? This is the actual cord for the vita lamps. http://www.lights.com/foot-textile-plug-cord-vita-p-36969.html Though yes they do seem compatible.